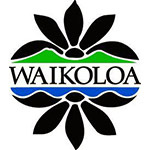 WAIKOLA, HI (February 3, 2018) - Looking for a team with depth? Looking for a team that can score 1-5? Well look no further than No. 1 Oklahoma State. After four players turned in sub-70 rounds in Friday's second round to take the lead the Cowboys repeated the feat in Saturday's final round as they put together an 18-under day to post 48-under and a 17-stroke Amer Ari Invitational victory. For Oklahoma State this was their seventh victory at the Amer Ari Invitational but first since 2014. With three wins in four events this season (one fall event was cancelled), Oklahoma State has shown they are well deserving of the top-ranking in the country and who could argue with them? Their worst score today at Waikoloa Kings' Course was a 1-under 71 by Hayden Wood who on Friday shot a 7-under 65 and led the medalist race. The best Oklahoma State score on Saturday came from Viktor Hovland (T2; -12) as the sophomore signed for a 7-under 65 that was highlighted by eagles on the par-5 4th and 2nd holes. Hovland started his day on No. 3 making the 2nd hole his 18th of the round. Matthew Wolff (T2; -12) and Austin Eckroat (T32; -3) both carded 4-under 68's for the Pokes with the final sub-70 round coming from Zach Bauchou (T9; -3) in the form of a 3-under 69. As for Wood his final round tally may not have counted for the 18-under team score but he was still able to finish in a tie for fourth at 11-under. The next closest team to Oklahoma State was Big 12 rival No. 13 Texas Tech (-30) in second place, No. 18 USC (-27) took third, in fourth it was first round leading No. 16 Texas (-23) while fifth was shared by No. 9 Auburn (-22), No. 4 Georgia Tech (-22) and TCU (-22). In the medalist race the lead changed hands for the third time in three day with USC sophomore Justin Suh claiming the title, his third win of the year. Suh, one back to begin the day used a late surge to sign for a 4-under 68 and claim the championship. 13-under for the tournament, Suh was even-par through 10 holes before turning it on late with birdies on Nos. 13 and 14, 17 and 18 to earn a one shot triumph over the Oklahoma State pair of Hovland and Wolff. Beginning on the 1st, Suh jump started his round with an eagle on the par-5 4th only to give the strokes back with consecutive bogeys on 9 and 10. Outside of the two Pokes in second place, the individual top-five was rounded out by another Cowboy, Hayden Wood, along with USC's Kaito Onishi in fourth at 11-under.